This Side Up is the club of the hour. 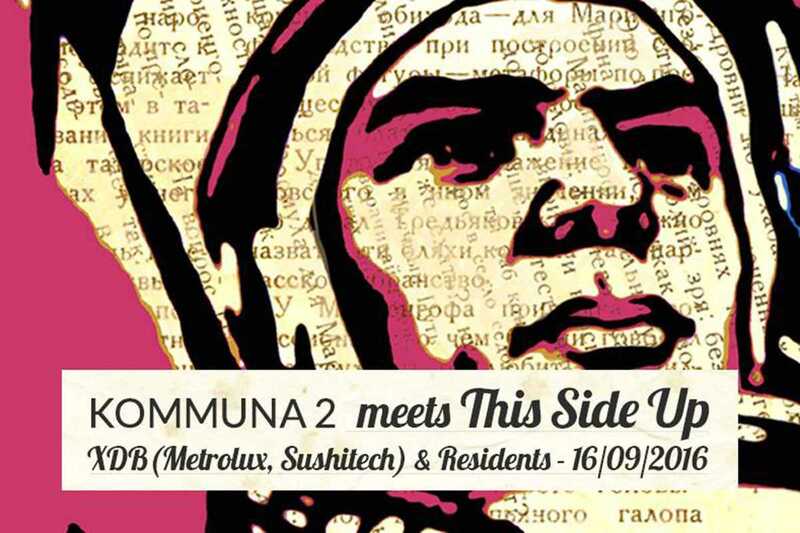 On Friday, September 16th local artist collective, party promoters and vinyl fanatics Kommuna 2 welcome XDB, a longstanding name on the German house and techno scene as well as label owner at Metrolux and part of the Sushitech Records roster. He’ll be joined by four DJs from the Kommuna 2 collective: CMYK, Rubi, Pekkulier and Alexandre Mac-Lean, who will surely put the club’s Martin Audio soundystem through the works. Afterwards there’s an afterparty at an as yet to be revealed location.